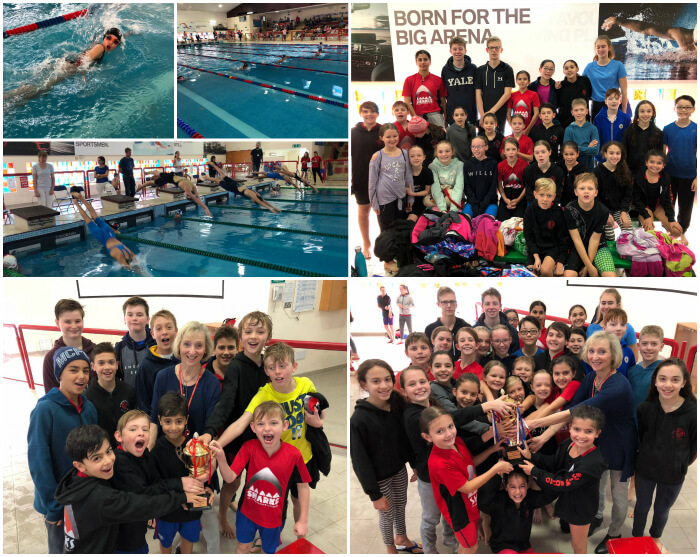 On Saturday 20 January 2018, our swim squad ‘The Sharks’ ran a fun team gala for members of the swim squad to compete against each other in order to gain points for their allocated team and win the team trophy. All swimmers were allocated a team, these were called Tiger Sharks, Great White Sharks and Whale Sharks. 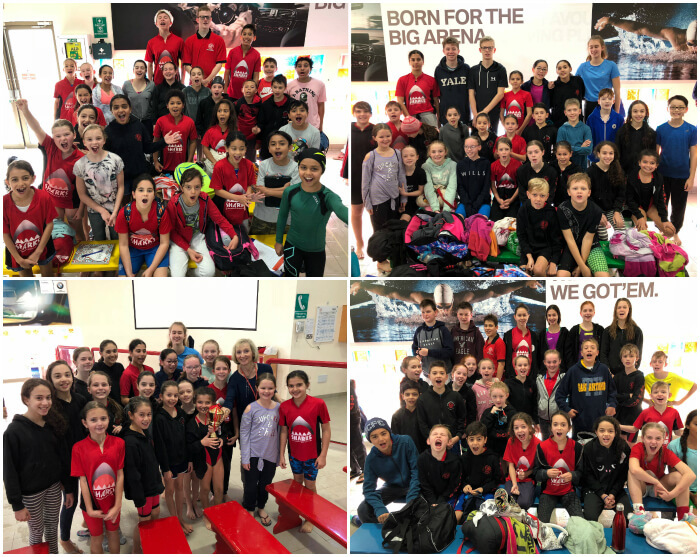 Team captains, from our Senior School swimmers, were put in charge of organising their team, leading dry land warm-ups, making sure their swimmers were on time for their races, cheering and encouraging the younger swimmers. The climax of the morning was a fun relay, where all 30 members of each team took turns to swim against each other. Thank you so much to all the parents who offered their time to support our swimming department with the officiating.